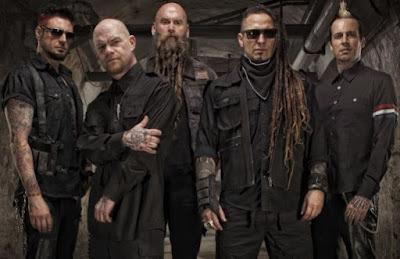 Five Finger Death Punch canceled tonight's show (November 15) in Strasbourg, France. You can read the statement below. "We followed the tragic events in Paris Friday night with great sadness. We are devastated at the loss of life and have friends and fans who were at the concert. Out of respect for the victims and to observe France's 3 national days of mourning, we will be postponing our show in Strasbourg Sunday night, November 15th. Our thoughts and prayers go out to the families and those affected by the terror attacks in France. Please stay tuned to www.fivefingerdeathpunch.com for more info as we have it."